We are a forward-thinking firm of Accountants, Business advisor and Tax consultants. We have offices through the united Kingdom , servicing clients from different industry sectors....Read moreWe are a forward-thinking firm of Accountants, Business advisor and Tax consultants. We have offices through the united Kingdom , servicing clients from different industry sectors. 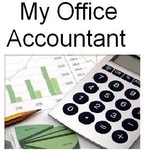 We provide a personalised accountancy service to owner managed businesses and individuals, whether you are a self employed, partnership or a limited company we are here to help with all of your accountancy, business and tax needs, please give us a call.